In January 2018, the Chicken Little Portfolio lost 1.66% while the Dow Jones Industrial Average gained an amazing 5.74%. 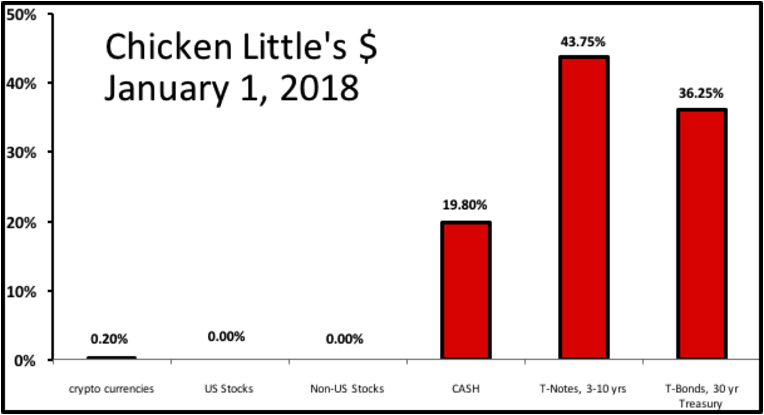 Chicken Little lost 1.66% in January 2018. Chicken Little was hurt by a decline in the price of Treasury bonds. The US stock market soared with the Dow up almost 6% in the month! When I was a professor at the Harvard Business School, I described the MBA students as, "frequently wrong, never in doubt." Similarly, Chicken Little has made the rash decision to call a market top for the US stock market on January 25, 2018. January was a typical blow-off top with extremely high returns in stock markets around the world. Only US Treasuries and Bitcoin were negative in January 2018. 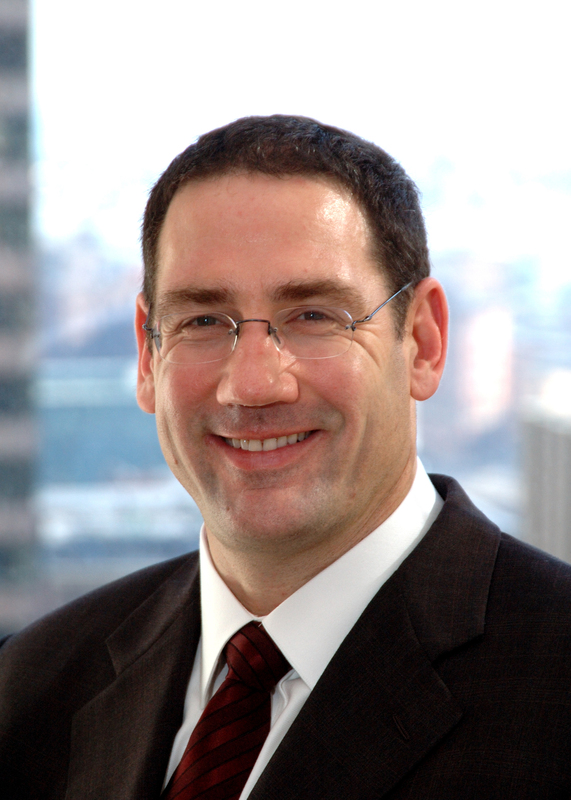 Chicken Little is long US Treasuries with a good amount of cash. The only change in the portfolio in January was selling the remaining stub of crypto positions. Chicken Little remains ready to begin Bear Market Operations, but is waiting for stock prices to go lower to confirm that the top is behind us.